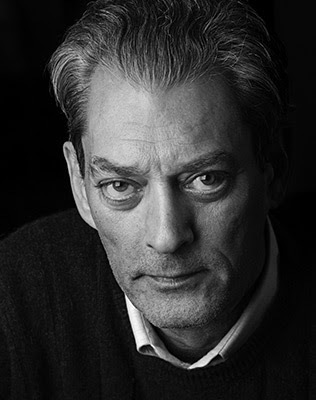 Paul Auster is a prolific and profoundly influential writer whose work has spanned many genres from novels to screenplays to essays to poems to plays, and more. Known for his experiments with narrative voice, form, and elements of the absurd, Auster's work often is situated in New York City, where he has lived for most of his literary career. He is the bestselling author of Winter Journal, Brooklyn Follies, Sunset Park, Invisible, The Book of Illusions, and The New York Trilogy (among many other works). He has been awarded the Prince of Asturias Award for Literature, the Prix Médicis étranger for Leviathan, an Independent Spirit Award for the screenplay of Smoke, and the Premio Napoli. He has also been short-listed for the International IMPAC Dublin Literary Award (The Book of Illusions), the PEN/Faulkner Award for Fiction (The Music of Chance), and the Edgar Award (City of Glass), and most recently the 2017 Man Booker Prize for his latest novel 4321. He is a member of the American Academy of Arts and Letters, the American Academy of Arts and Sciences, and is a Commandeur de l'Ordre des Arts et des Lettres.